Mt. Gox, the fallen Bitcoin exchange that was once the toast of the virtual currency world, is reportedly ditching plans to rebuild itself under bankruptcy protection, in favor of company liquidation, the Wall Street Journal reports. Update: An announcement from Mt. 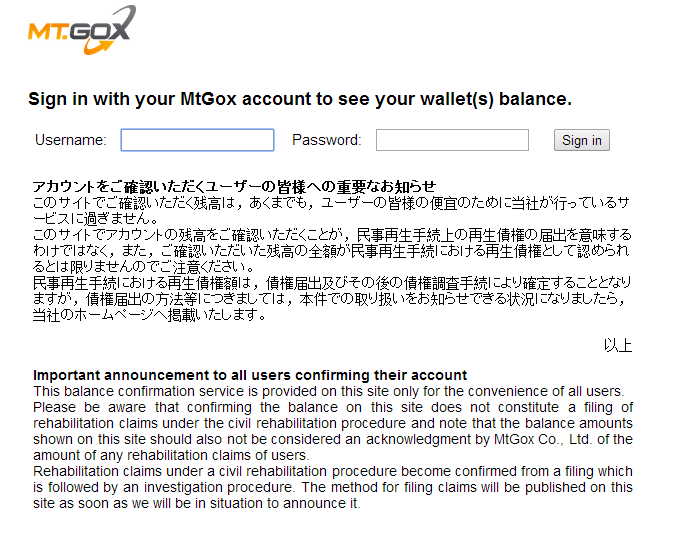 Gox has confirmed that it will not rehabilitate the company as was previously planned. The site imploded in February when it disappeared offline with many users complaining of missing coins. Mt. Gox later confirmed that it had lost 750,000 Bitcoins, although — mysteriously — the company found 100,000 of the missing coins last month while the Journal reports that a further 100,000 have surfaced.